Less than a quarter mile until your feet are in the sand. 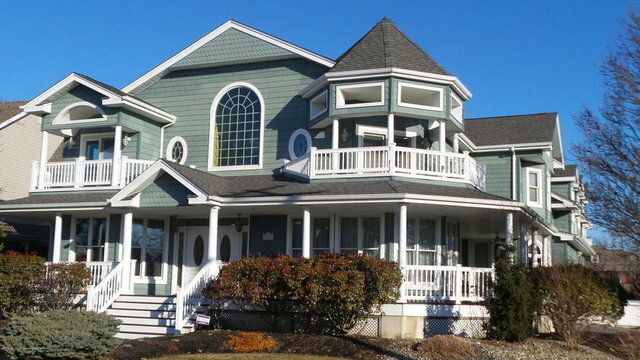 This custom home is located in desirable Point Pleasant Beach. You can smell the salty scents from your wrap around front porch. Come home from a day at the beach and relax in the in-ground pool in your maintenance free back yard. Custom eat-in-kitchen offers top of the line appliances, custom cabinets, two center islands & a dining area. Family rooms has a cozy gas fireplace, a wet bar and 1/2 bath.First floor billiard room can easily become an in-law suite or the great room on the second floor could be an additional huge bedroom. Upstairs offers both a master suite with balcony, a junior suite with balcony and 2 more bedrooms with a full hall bath. The oversized garage & driveway gives you plenty of parking. Truly a must see!